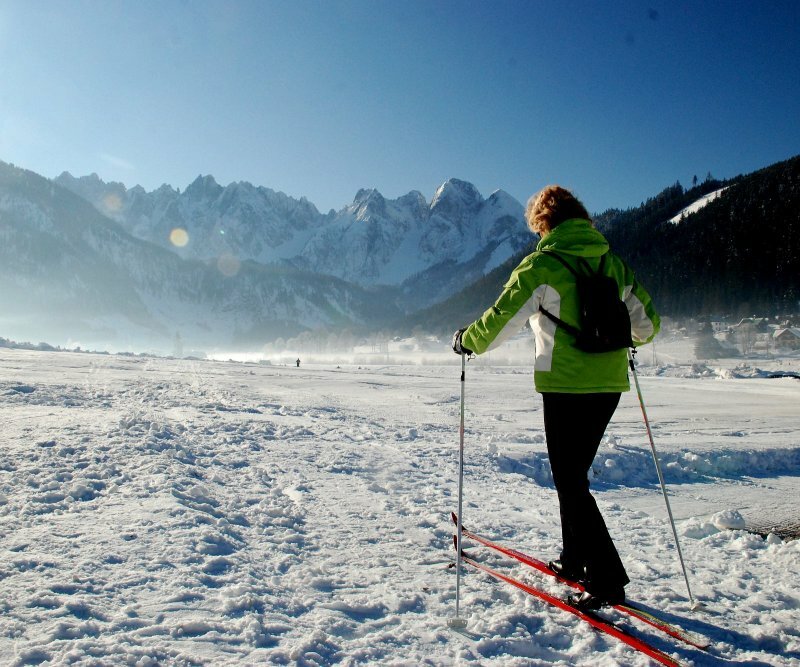 The UNESCO World Heritage region of Hallstatt Dachstein Salzkammergut is a paradise for cross-country skiing. 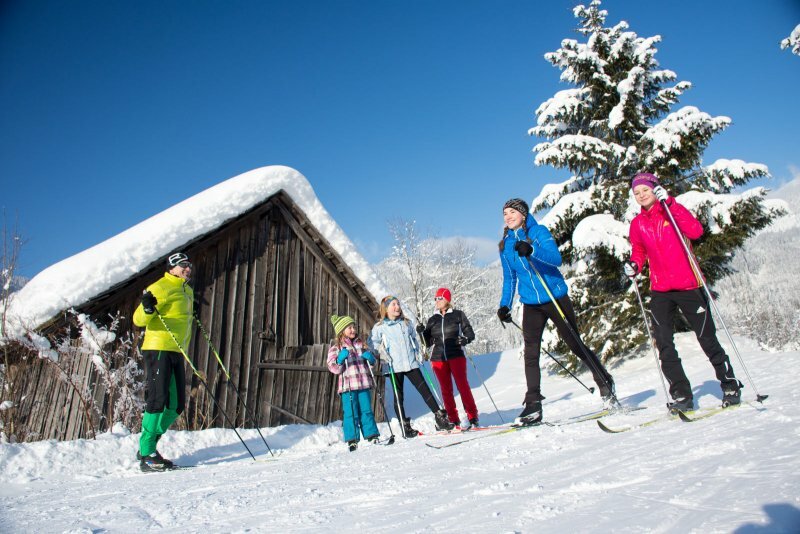 Mountain and valley trails offer varied cross-country skiing in a wonderful environment. 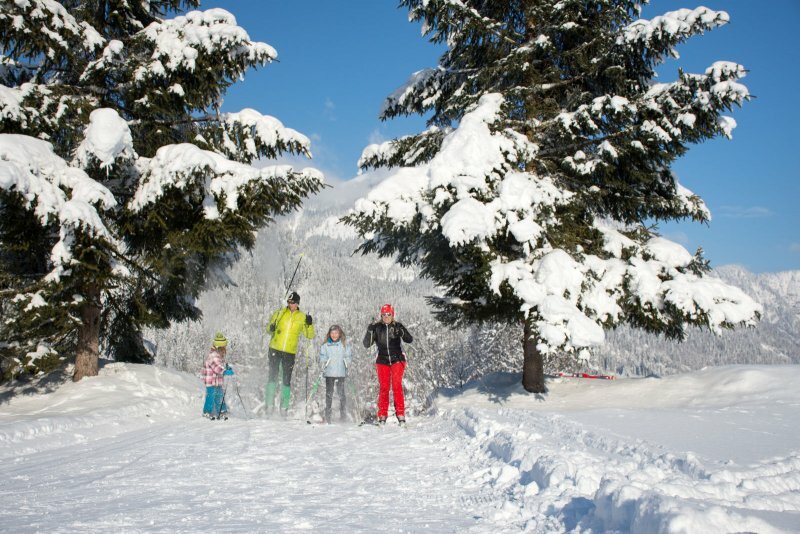 The snow crunches, the trees blend in the white splendour, forget the worries of everyday life with the winter sun reflected in your ski tips. 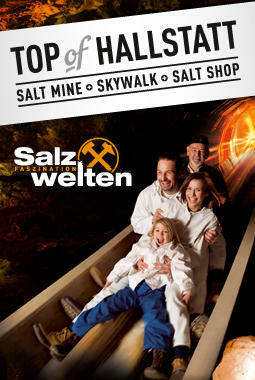 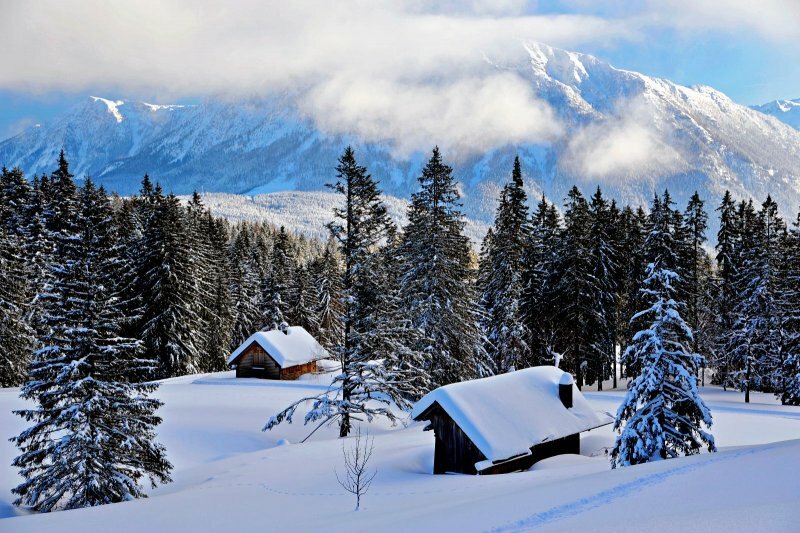 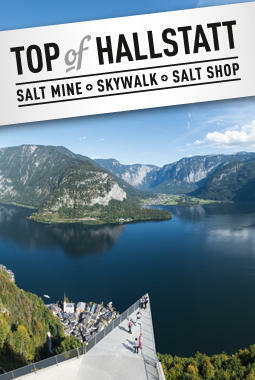 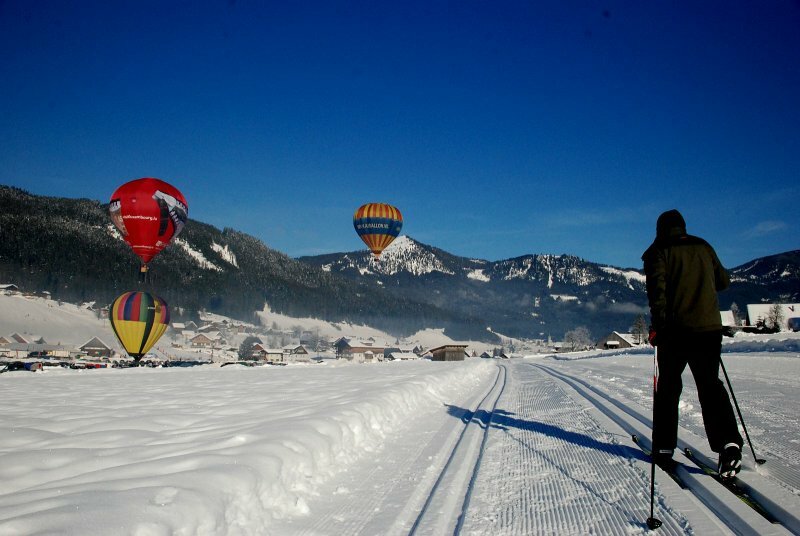 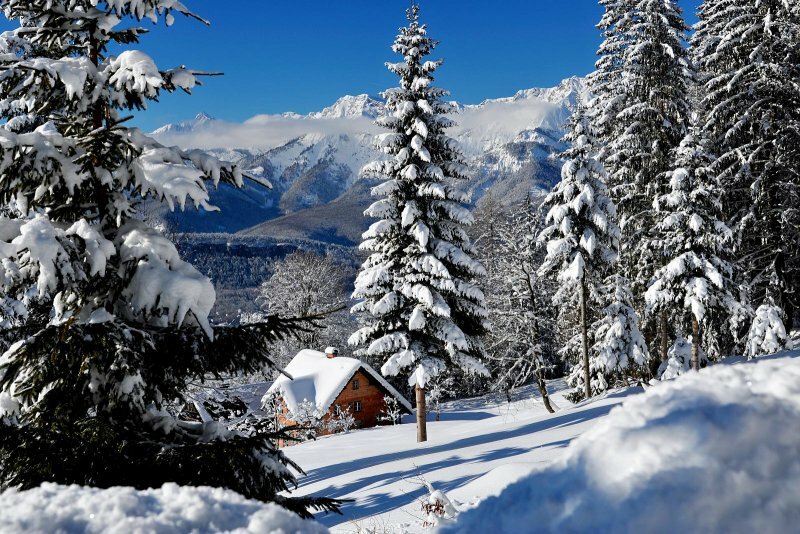 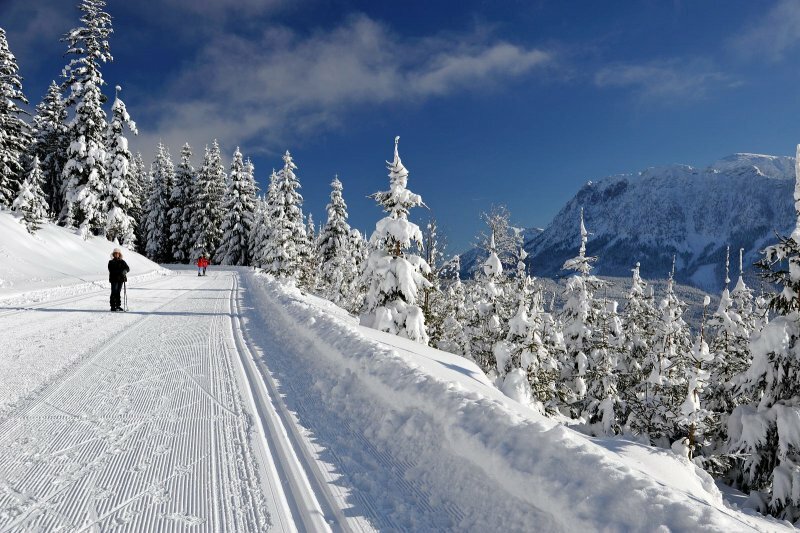 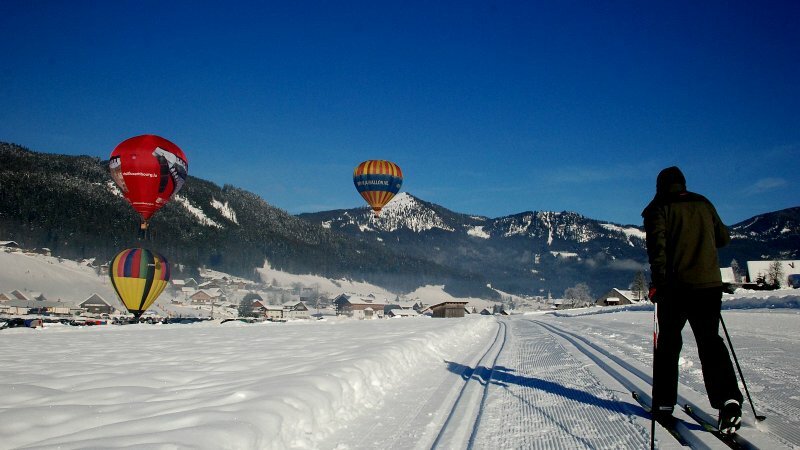 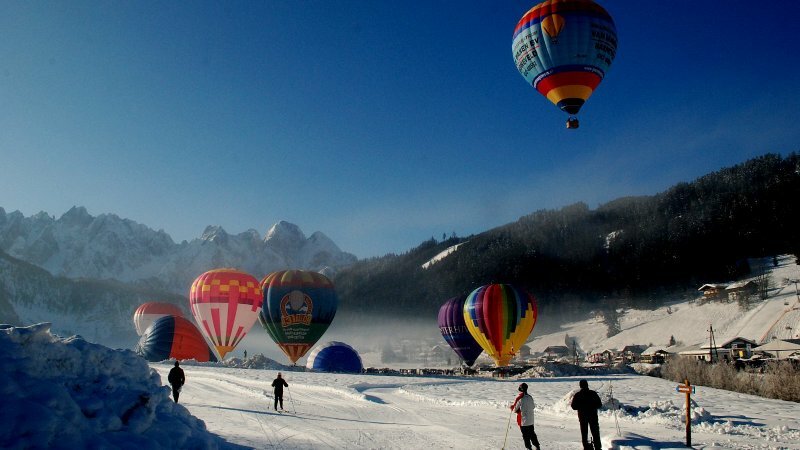 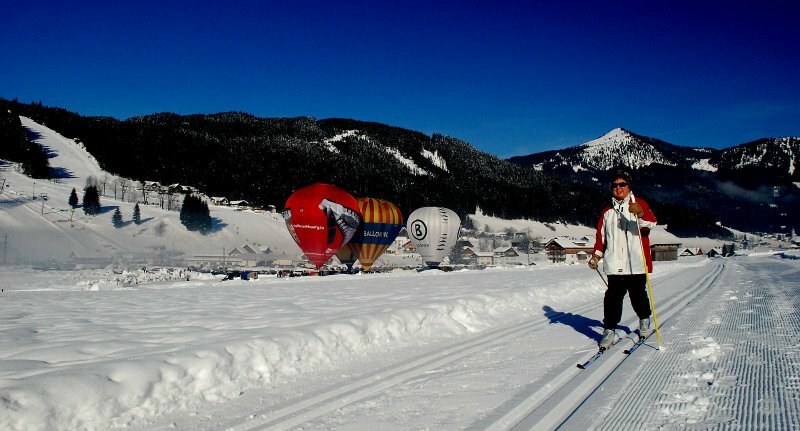 The countless beautiful mountains of the Salzkammergut are well known for the finest skiing. 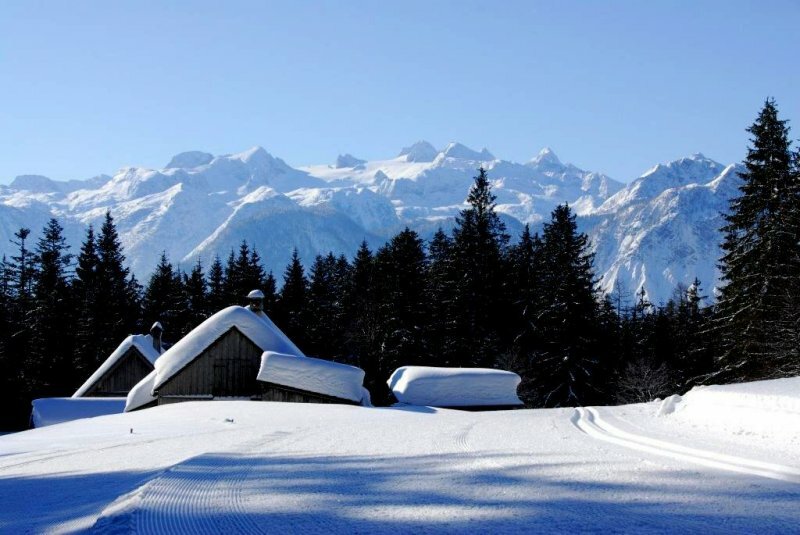 But this idyll does not only belong to the many wonderful ski slopes of the region. 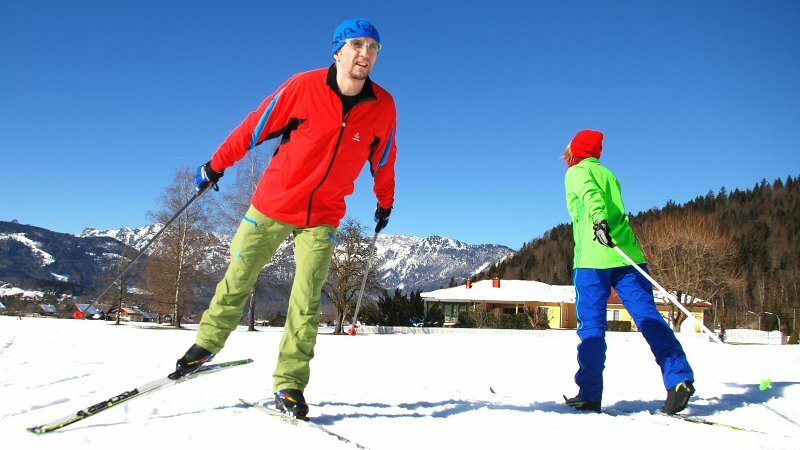 In recent years, another sport has come out from the shadows of alpine sküng - crosscountry skiing. 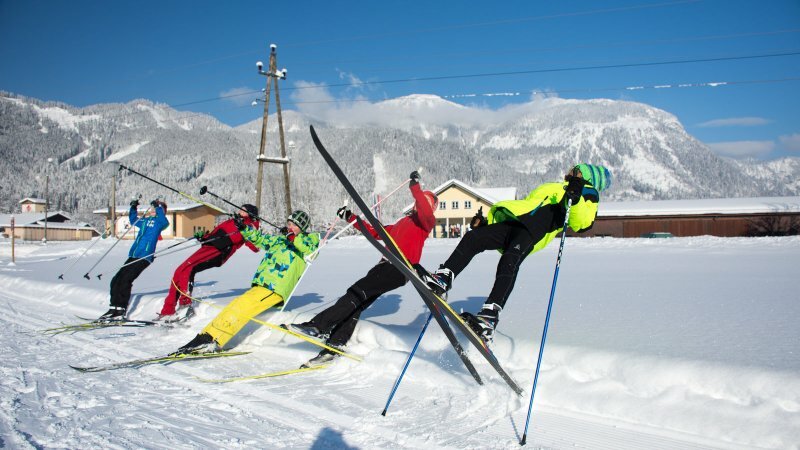 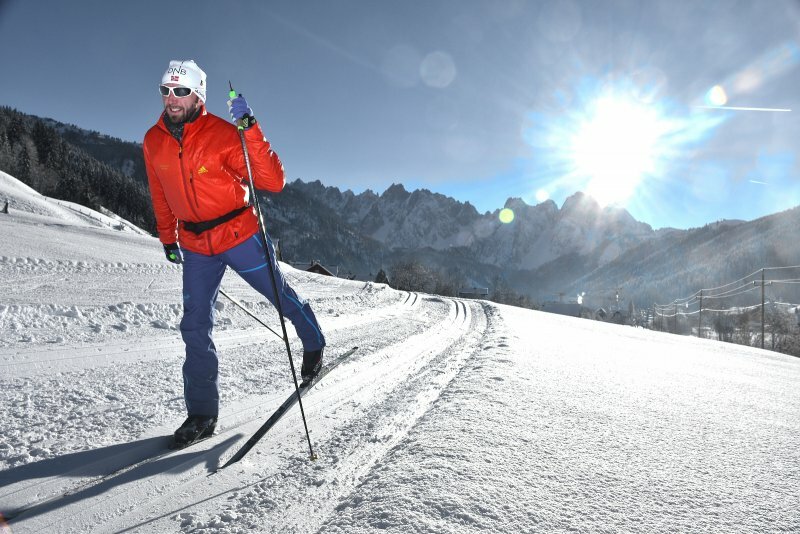 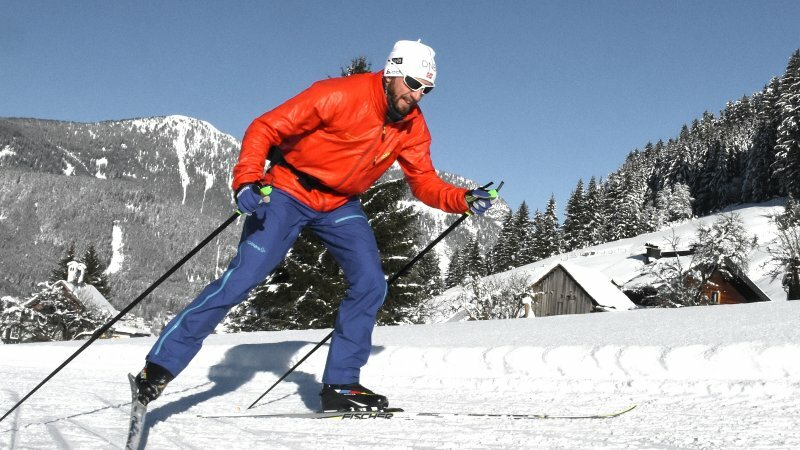 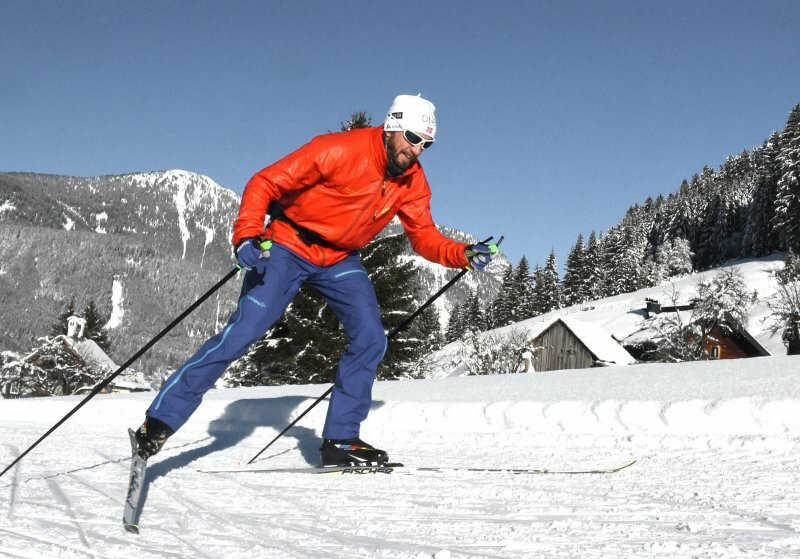 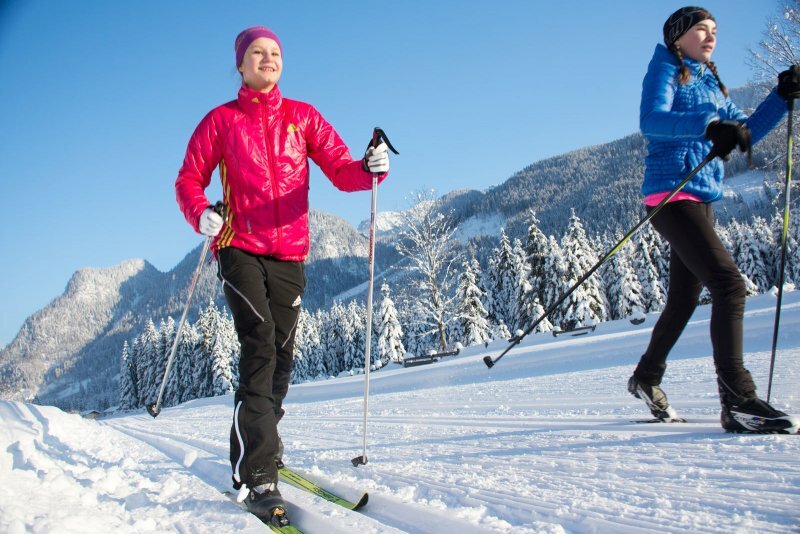 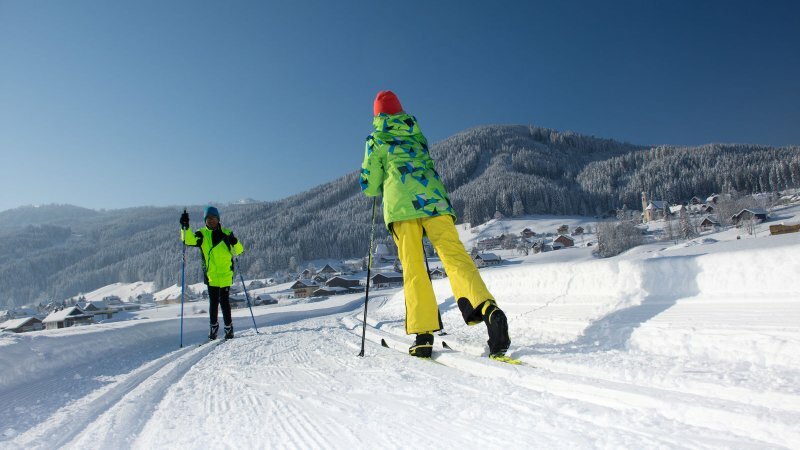 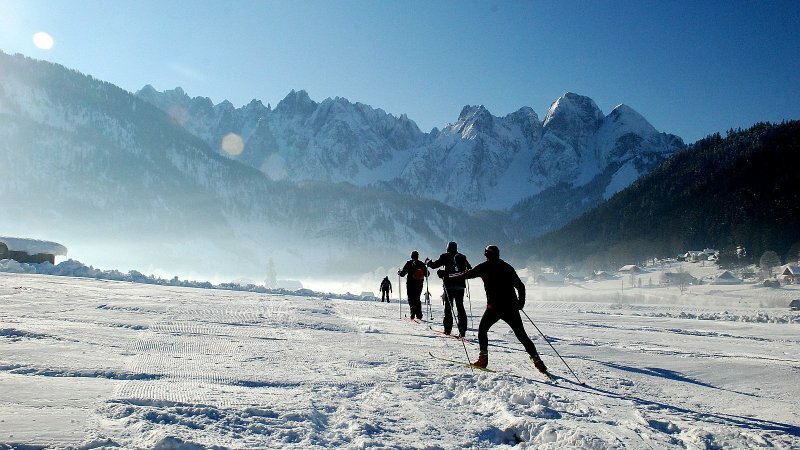 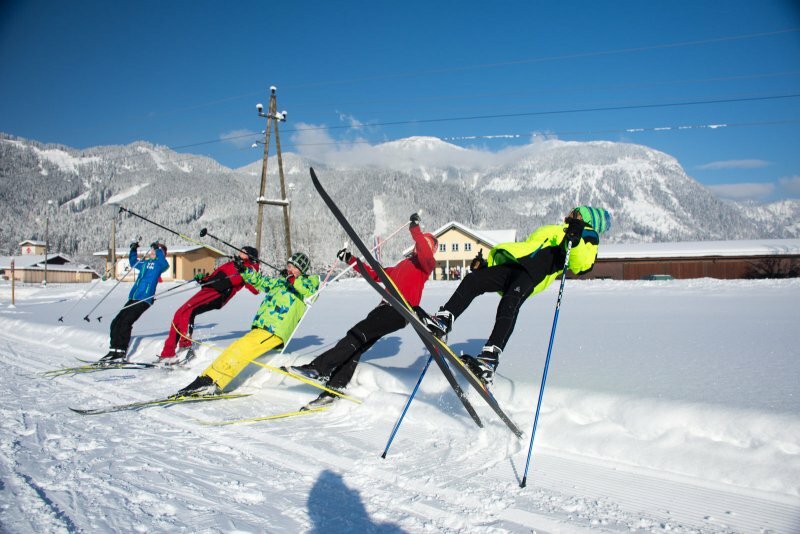 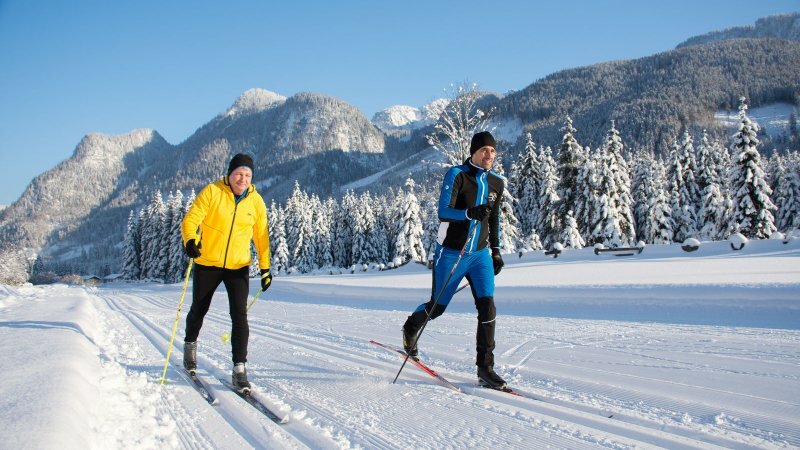 Enjoying a worldwide comeback this all-round healthy sport is a popular pastime for young and old, and the whole Salzkammergut, with over 700km of cross-country trails, is attracting the attention of cross-country skiers. 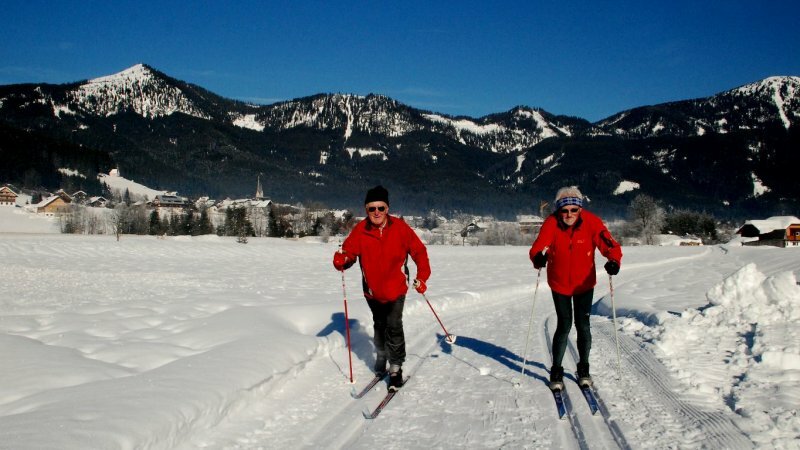 The 700km of cross country trails are spread high and low across the whole of the wonderful Salzkammergut region. 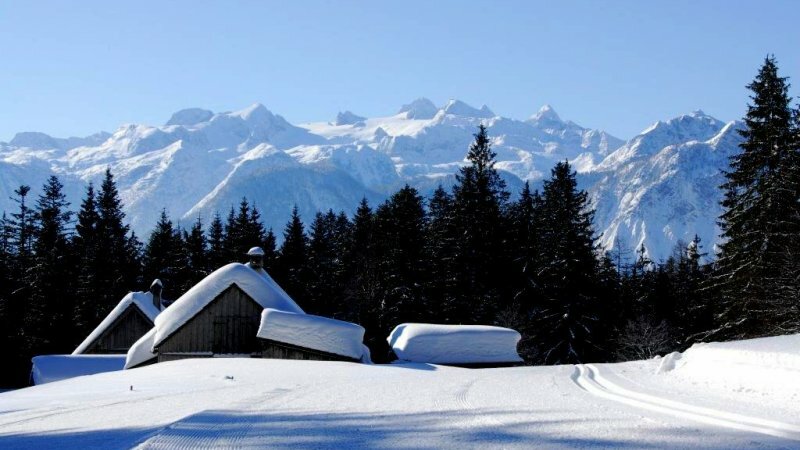 sunny valleys. 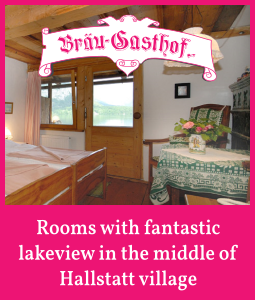 Between lakes and mountains, along well known footpaths, past meadows. 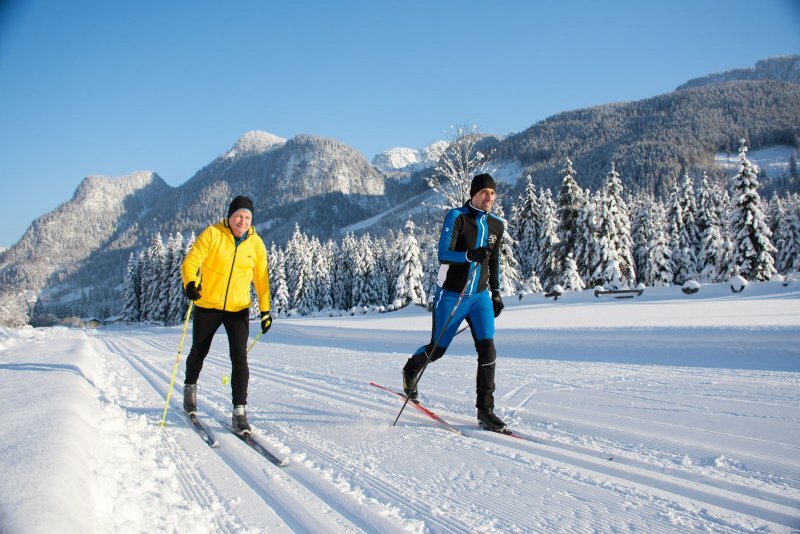 Cross country skiers of all ages will find their own personal favourites. 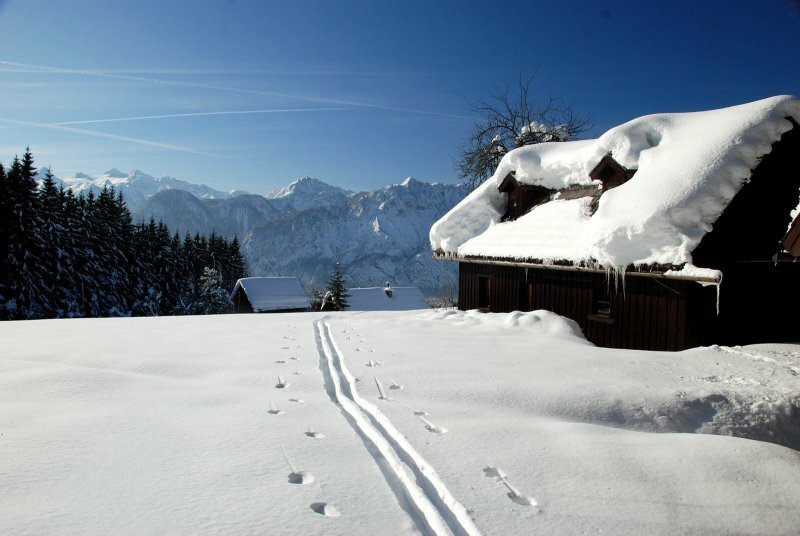 At the same time, the trails are cleverly laid out so that you can reach remote areas which are not possible in the summer. 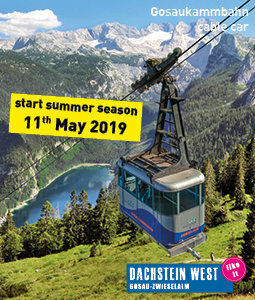 But that is not all. 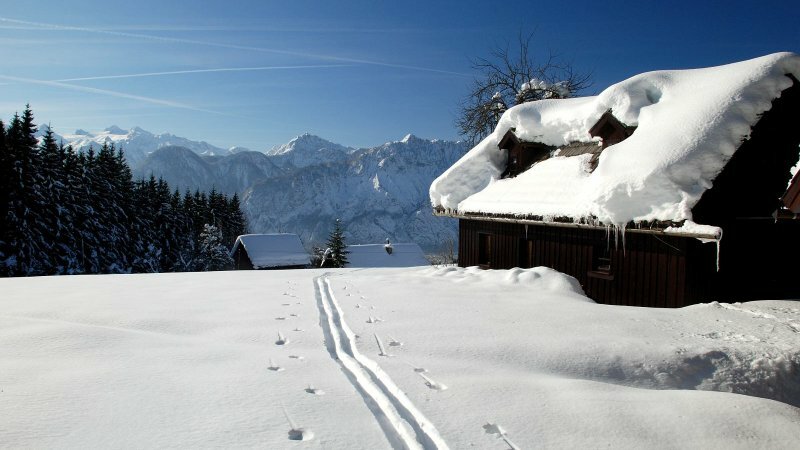 The trails are dotted with cosy mountain huts that invite you to rest and linger. 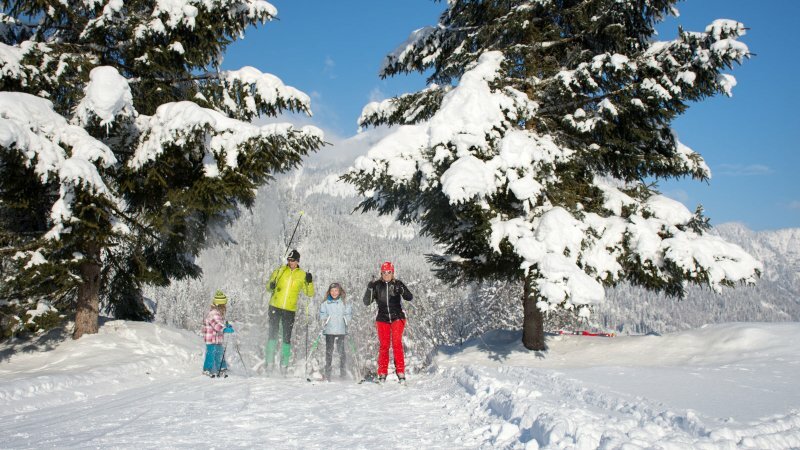 Obertraun | Gjaidalm trail: At 1.738m, the highest cross-country ski run in the UNESCO World Heritage region of Hallstatt Dachstein Salzkammergut. 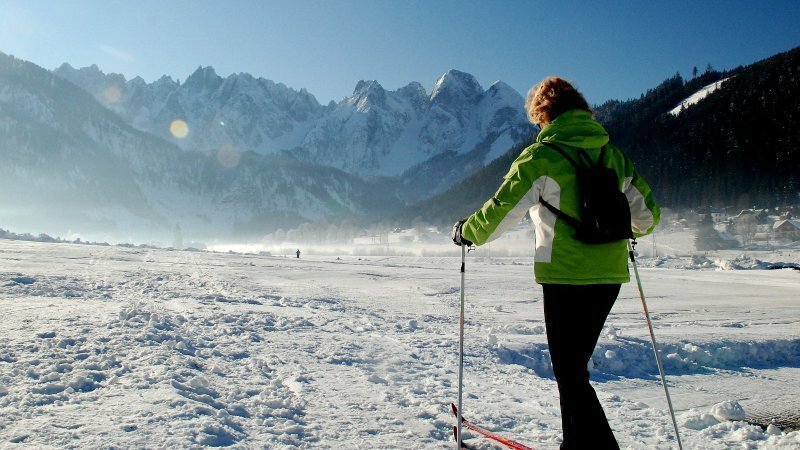 Cross-country skiing on the Dachstein plateau. 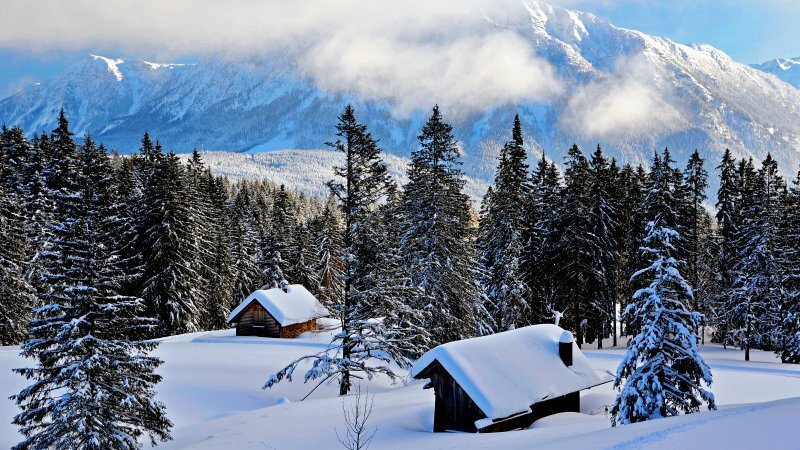 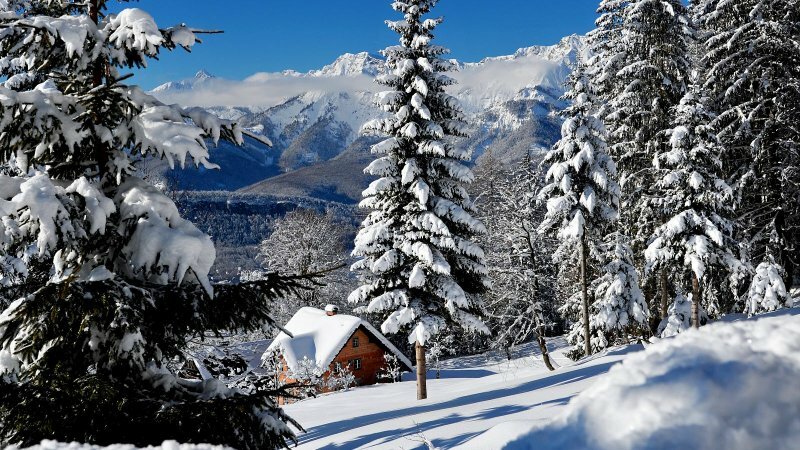 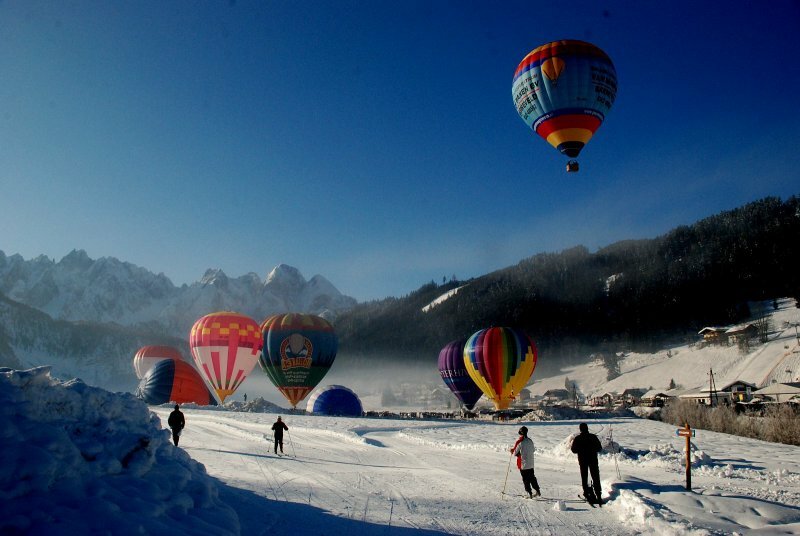 Ausseerland: The snow covered Dachstein ridge and its bizarre Dead Mountains make a magical setting for your cross-country ski holiday. 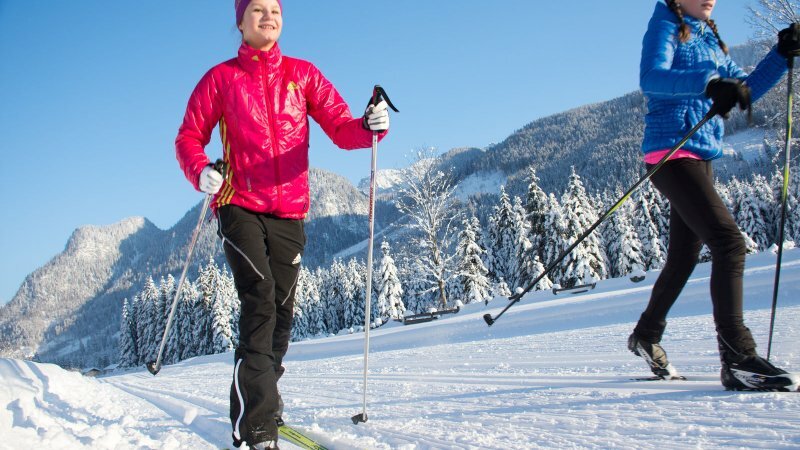 The magnificent mountain scenery, the clear air and the wintry tranquillity make about 50 kilometres, in the valley and on the Predigstuhl high trails, a sensual experience. 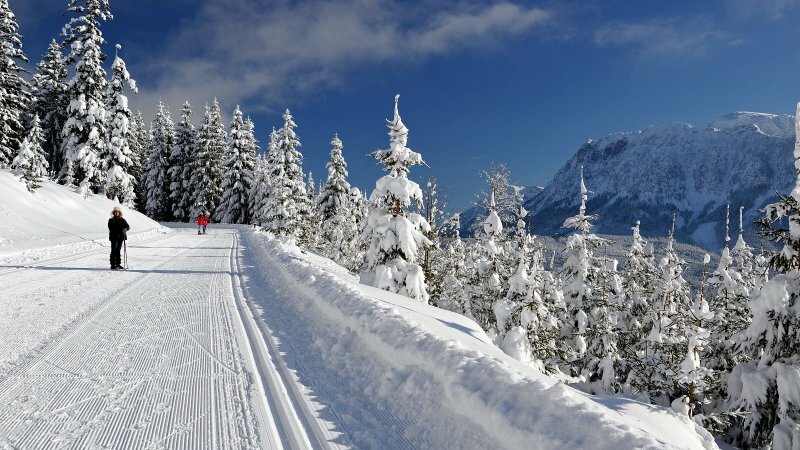 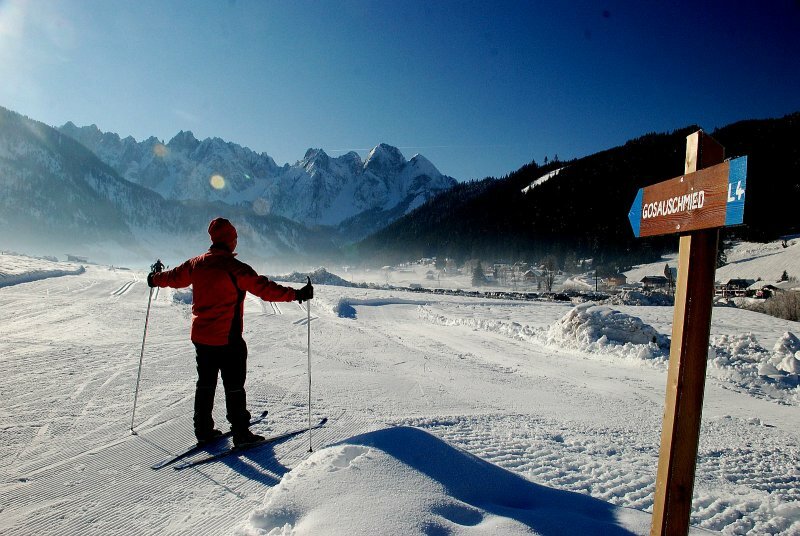 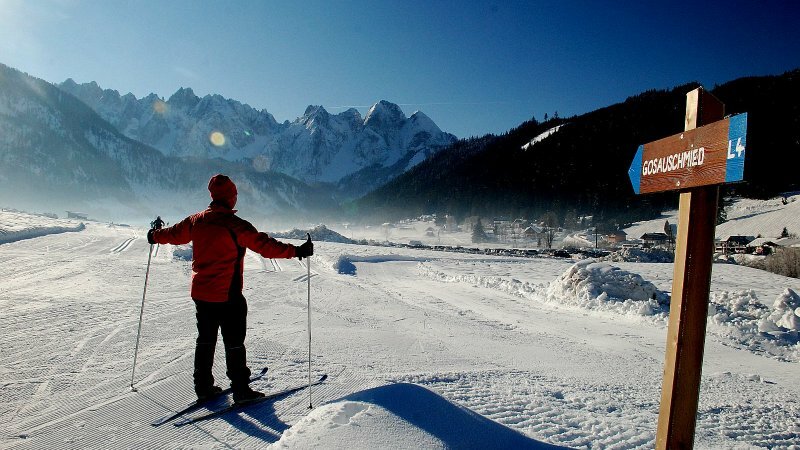 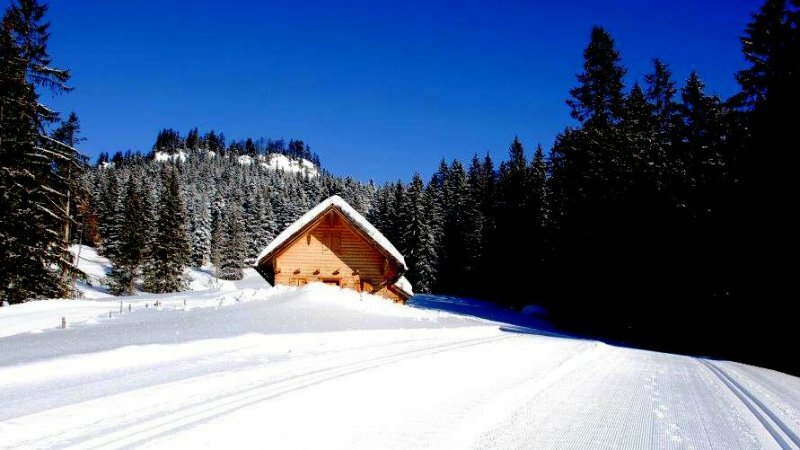 Obertraun: The cross-country ski trails is a large circle around the Obertraun valley. 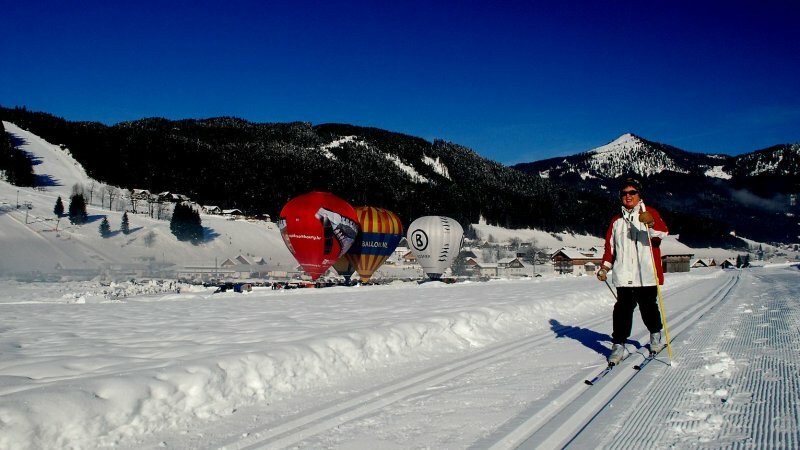 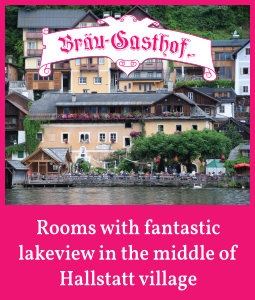 It can be reached in about 5 minutes either by car or take the Hallstatt free ski shuttle bus "Post bus". 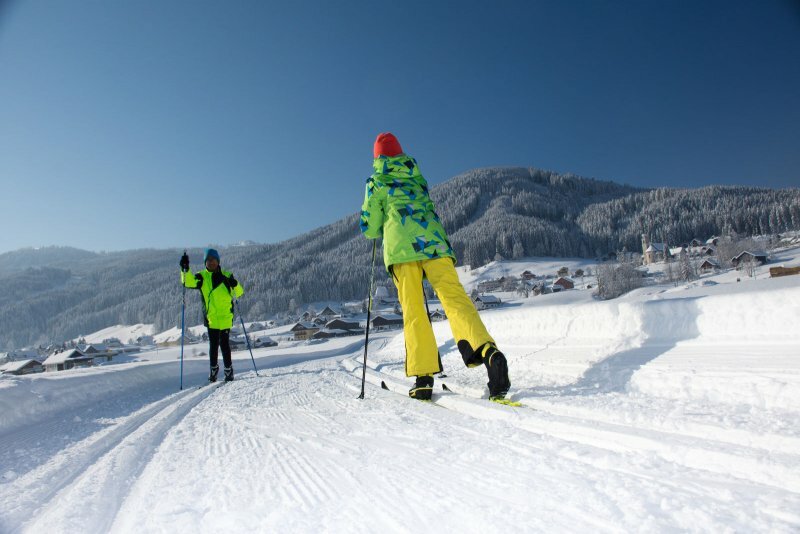 When the snow glistens in the sunshine and the sky radiates in beautiful blue it is time to don the skis and go cross-country skiing. 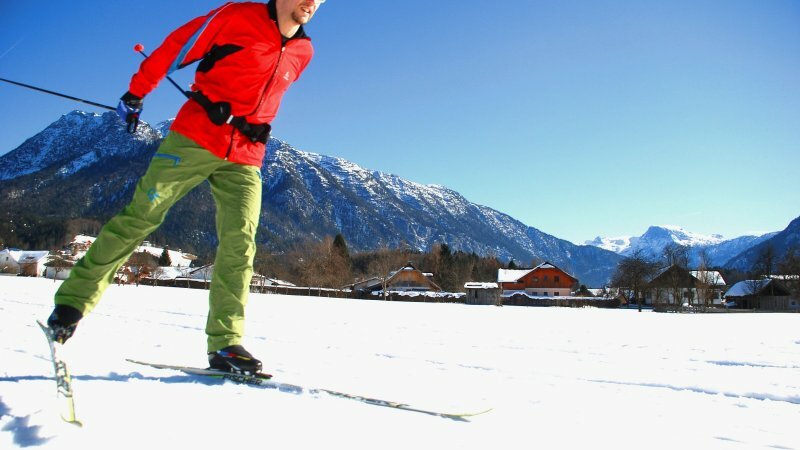 lt does not matter whether you ski in Bad Goisern or if you skate through the Gosau valley, after the enjoyable time spent in the fresh air you will need to get your energy back. 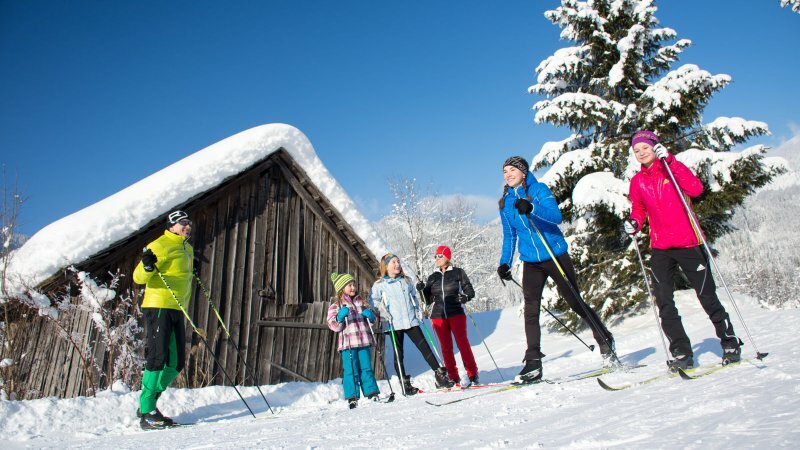 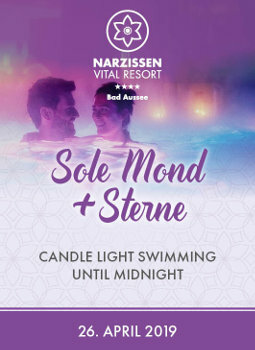 Choose from wine bars, inns and traditional small huts, and feast on native delicacies such blueberry gnocchi, kaiserschmarrn (chopped-up pancake) or Styrian cheese doughnuts. 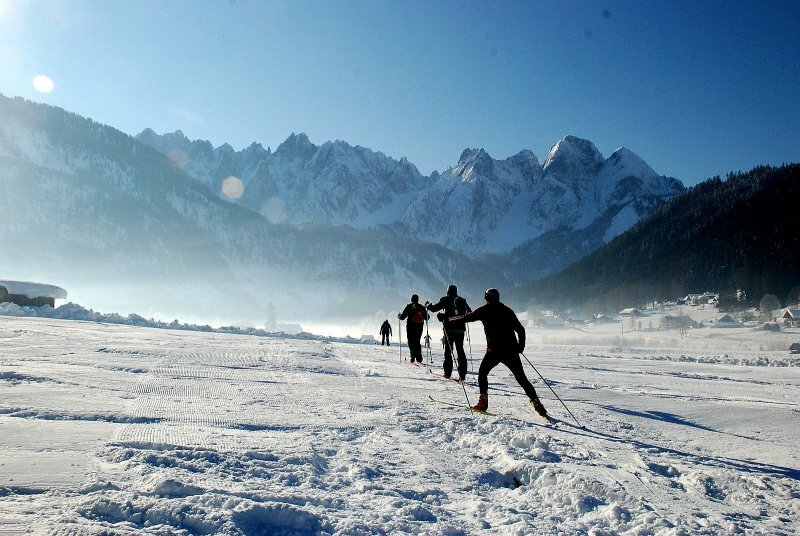 The perfect interaction of body, mind and soul. 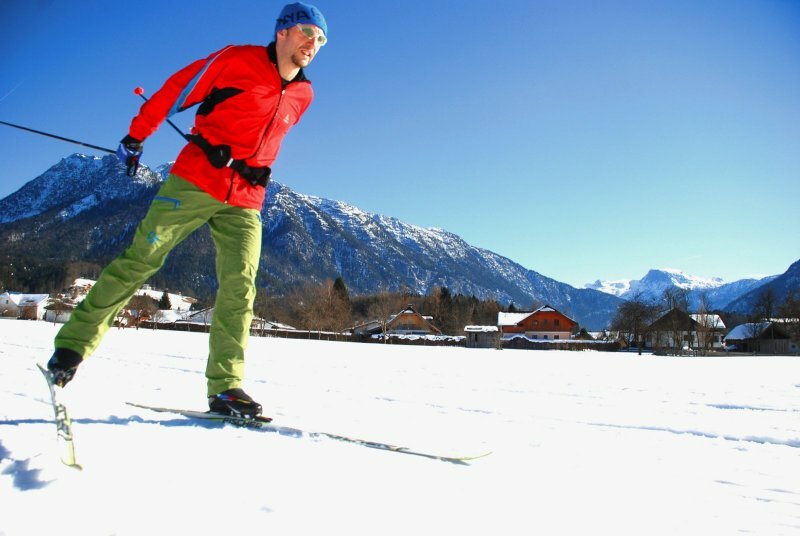 A sporting experience for all the senses.